After your fiancé pops the question, there’s only one thing left to do – plan the wedding of your dreams. Do you love coffee as much as you love your future partner-to-be? If so, then entrusting your wedding’s coffee service to only the best will do. Coffee will be your guests’ last impression of the event and leaving them with a bitter taste in their mouth can hinder an otherwise perfect evening. Nothing short of the best will do for your special day! Not only are you searching for a wedding coffee provider that can provide delicious options of espresso, drip coffee, and specialty drinks, but also a polite, professional, and knowledgeable barista staff. You need to find a wedding coffee service that has it all. Cupa Cubana’s creation was actually inspired by a wedding service that had a lackluster coffee provider serving bitter, black liquid that contradicted the otherwise beautiful ceremony. It’s our commitment to prevent unfortunate situations like this from happening on your wedding day. With a dedication to quality coffees and service, your guests will be delighted to enjoy a pleasant coffee experience before their journey home. Stellar coffee service is the perfect accessory to your wedding reception and it can also be the best companion for a drive home. Having customized travel cups that allow your guests to take coffee or espresso drinks for the road is a great way to thank everyone for attending. The small details and special touches are what add up to produce an excellent wedding that is fun, memorable and impressive. A wedding is something that you’ve probably dreamt about your entire life. Don’t hold back when it comes to getting what you want. Be upfront about the add-ons and enhancements you would like to be a part of your coffee service. 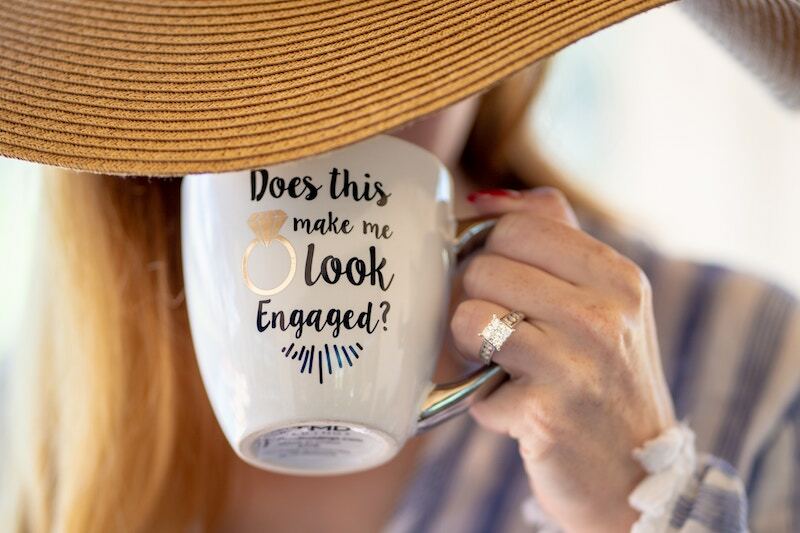 Regular and decaf espresso, mochas, lattes, cappuccinos, vanilla, hazelnut, cinnamon, and seasonal syrup options such as pumpkin spice or gingerbread can all be part of your wedding day, as long as you vocalize it during the planning process. Think ahead and then you can bask in the enjoyment of the day when it finally arrives.